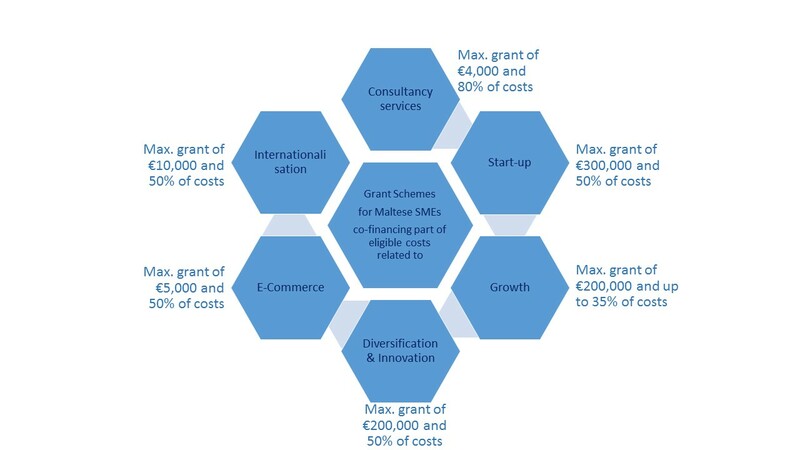 Don’t miss out on the EU funding support for SMEs provided from the ERDF 2014-2020! Speak to us in confidence about your business ideas and investment plans. We can advise and assist you in choosing the right scheme(s) for you, preparing the necessary feasibility studies, reviews or business plans, as well as the application documentation. Email us on anamaria@ascendconsulting.eu or call +356 99975380. This entry was posted in Funding, News, SMEs and tagged business enhance, diversification, e-commerce, ERDF, EU funding, funding support, growth, innovation, internationalisation, SME, startup. Bookmark the permalink.